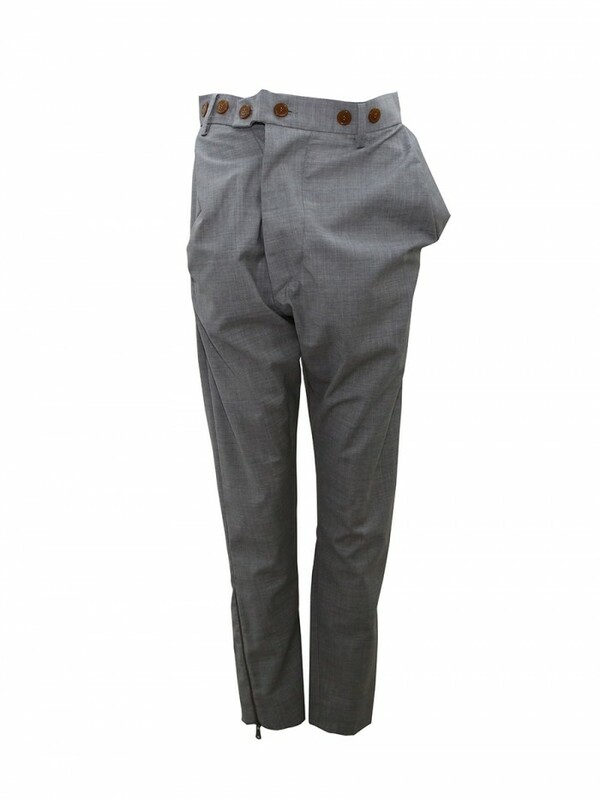 Vivienne Westwood Alcoholic Trousers Grey S26KA0231. Constructed with Westwood’s trademark drunken system that harks back to traditional British tailoring methods with a twisted, skewed approach applied to the cutting, the Alcoholic Trousers in timeless grey. Crafted in pure new wool, this iconic staple features a dropped crotch, asymmetric button fly and tapered legs with silver zip cuffs.